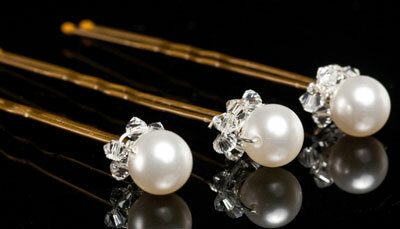 "In 2010, bridal hair takes us into the world of hair accessories. 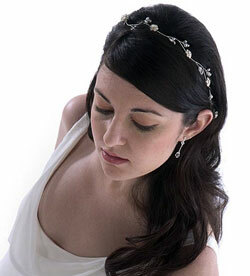 This trend has been growing in popularity over the last few seasons but this year, it is a style must-have.".. 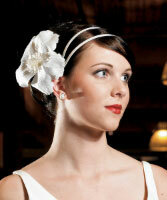 Adorning the hair with a bow, a hair band or a tie will be synonymous with wedding hair for 2010. 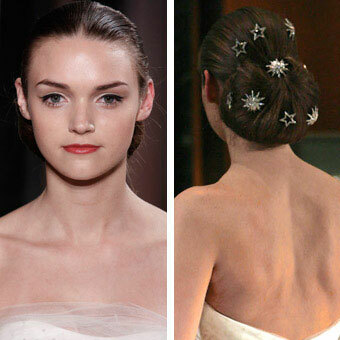 Fresh off the runways and into the bridal boutiques, hair accessories are hot! 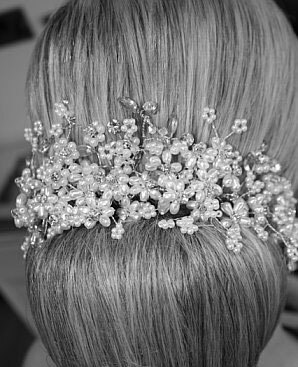 From simple bands to ornate and shiny pins, the accessory becomes as much a part of the attire as the veil or the bridal hairstyle itself. 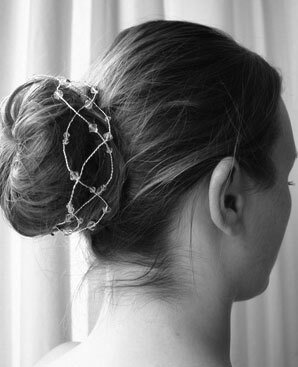 Especially important if you have decided to wear nothing in your hair, including a veil, a simple accessory will add an extra element of style and drama to your look. 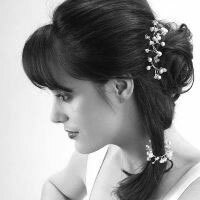 Crystal hair vines work with many styles. 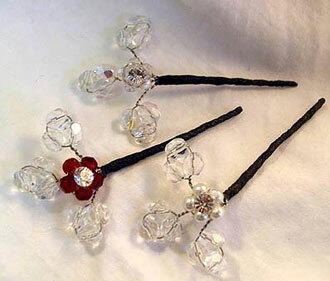 They can be worn across the head like a hair band or can be wrapped around a tight bun or around a pony tail. 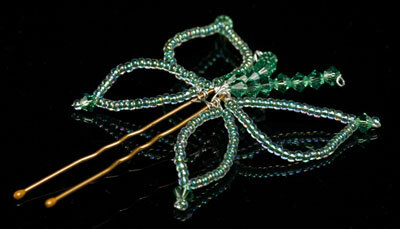 Pins (similar to sticks) and barrettes can be used with many styles from updos to long and loose dos. As with all things trendy, it is best to tread lightly into a new craze especially if this is a stretch from the norm for you. 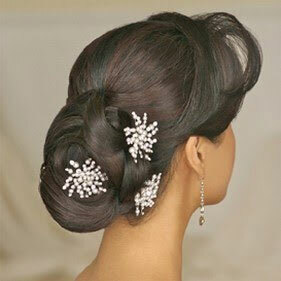 For example, if you are used to wearing your hair in a simple style. 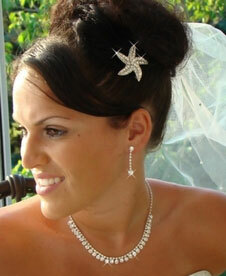 Stay away from anything too big and shiny for your wedding day. 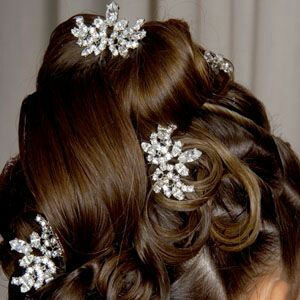 You must feel comfortable in anything you wear that day right down to the hair style. And, don't forget you want to like what you see in those pictures afterward!